Preheat the oven to 200°C. 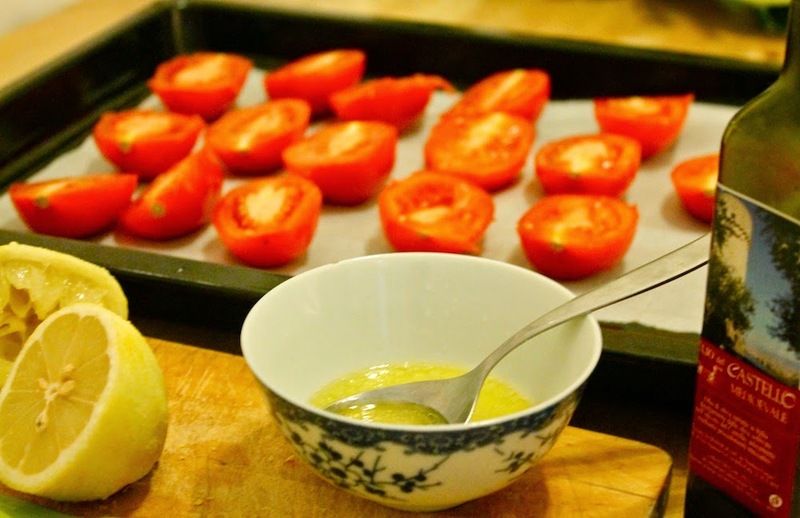 Cut the (medium-sized) tomatoes in halves and spread them on a baking tray with baking paper. Wash the lemon with hot water, dry it, grate the lemon zest and press out the juice. 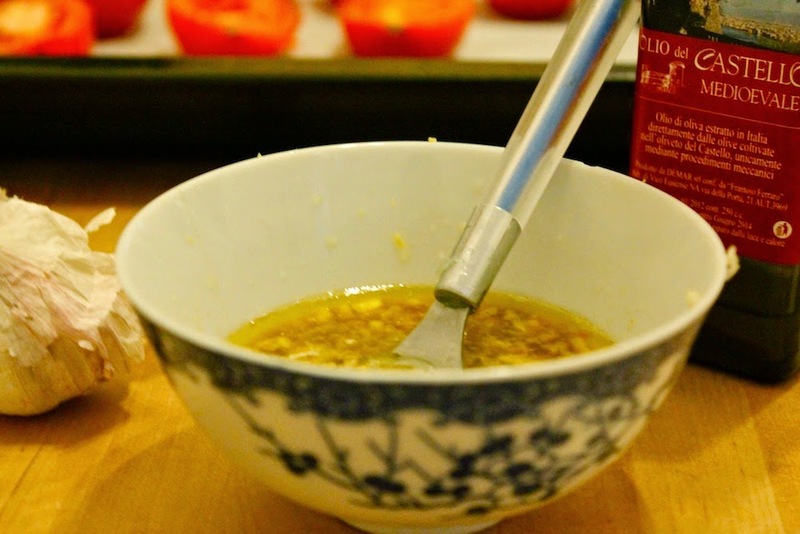 Mix 4 tablespoons of olive oil with about half of the lemon juice and sprinkle the mixture on the tomatoes. Roast the tomatoes for about 25 to 30 minutes in the oven. Take them out and put them aside. Safe the tomatoe juice which is left in the baking tray in a small bowl. For the dressing peel and chop the garlic. Add 5 tablespoons of olive oil, the vinegar, the remaining lemon juice and the lemon zest. Cut the avocados in halves and take out the pulp using a spoon. 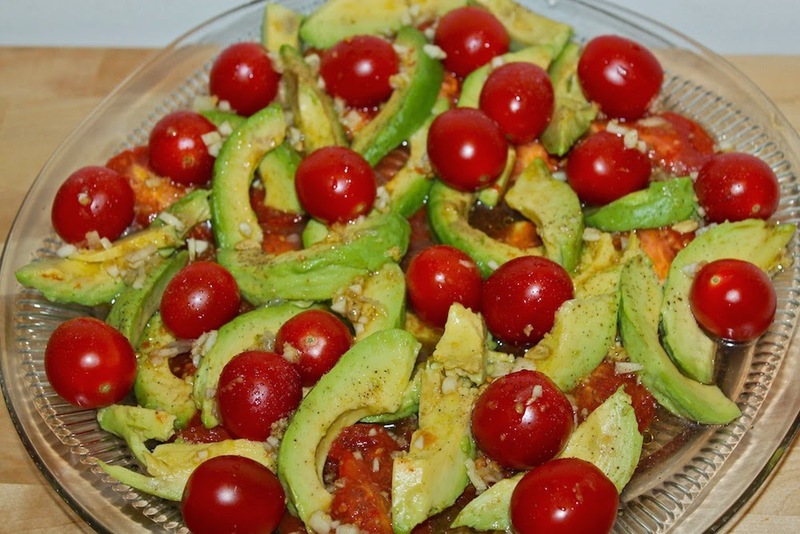 Cut the halves into slices and spread them together with the baked tomatoes and the cherry tomatoes on a serving plate. Sprinkle the tomato juice and the dressing on the salad and salt and pepper to taste. Done! 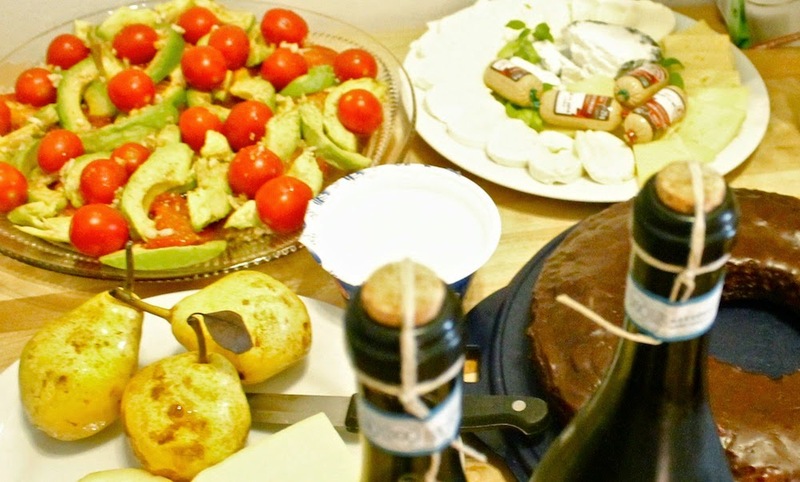 PS: If you want to add some cheese: Ricotta fits perfectly!